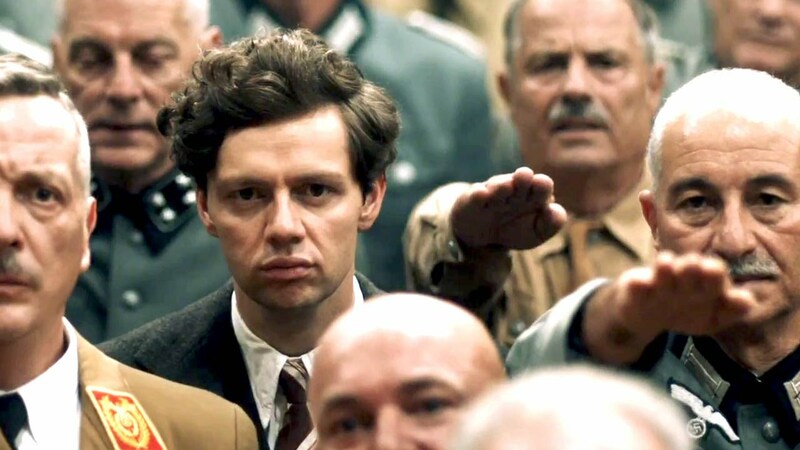 13 Minutes contains a series of flash backs to life prior to the arrest of Georg Elser, the man who tried to assassinate Hitler. It relates to the background of the failed attack in the Bürgerbräukeller, and paints a suspenseful, emotional portrait of the resistance fighter who was called ‘Georgie’ in his hometown. It takes us from his early years in the Swabian Alps – when National Socialism arrived in his town – to his last days at the Dachau concentration camp, where he was killed shortly before the end of the war, at the command of the person he attempted to kill, Adolf Hitler. Another unsung hero, or at least, an attempted hero, in essence this film fills the same quota as The Imitation Game, yet much less Hollywood in style. Christian Friedel, who plays Elser, magically captures one man’s transformation from boy next door, to assassin. Father and daughter team, Fred and Leoni-Claire Breinersdorfer, who wrote the screen play, give our opening sequence of Elser in a beer tavern, frantically panting and holding a torch in his mouth, as he fixes explosives and a timer in a hole in the wall. Unfortunately, due to Hitler leaving the building thirteen minutes earlier, Elser’s plan fails. Instead, his bomb kills eight innocent victims. As he is quietly fleeing the scene, having reached the Swiss border, he is caught. The one thing he didn’t consider before trying to dig his way under the fence, is having gotten rid of the paperwork that would lead to his arrest by the Gestapo. Drawings, calculations and such. This story is relatively unfamiliar to most, but despite this, the story is an intriguing one to follow. It does have its moments where the early flash back scenes interrupt a dramatic momentum from the scene before, the current day scenario. And although the film is sub-titled, it’s not too difficult to follow, due to repetition of key phrases. As a viewer, the film provides many ‘what if’ questions, and personally made me question humanity. It is a heart-warming story, though gut-wrenching at times. Had Elser succeeded, he could have changed the world. Quoted by The Hollywood Reporter, Hirschbiegel says 13 Minutes is part of a trilogy on the history of National Socialism. “Downfall showed the end, 13 Minutes showed the beginning, the last film will look at the victims, either during Hitler or afterwards, to show the impact of the Nazis”. The shooting of the film took place between July and September of 2014, however only took an amazing 40 days to complete. Fourteen days in Baden-Württemberg, ten in Bavaria, ten in South Tyrol and six in Berlin. For those interested in war-themed movies, and how the Hitler regime affected the country, this is a must-watch. Although if you have a sensitive stomach, my suggestion is to not eat movie snacks.